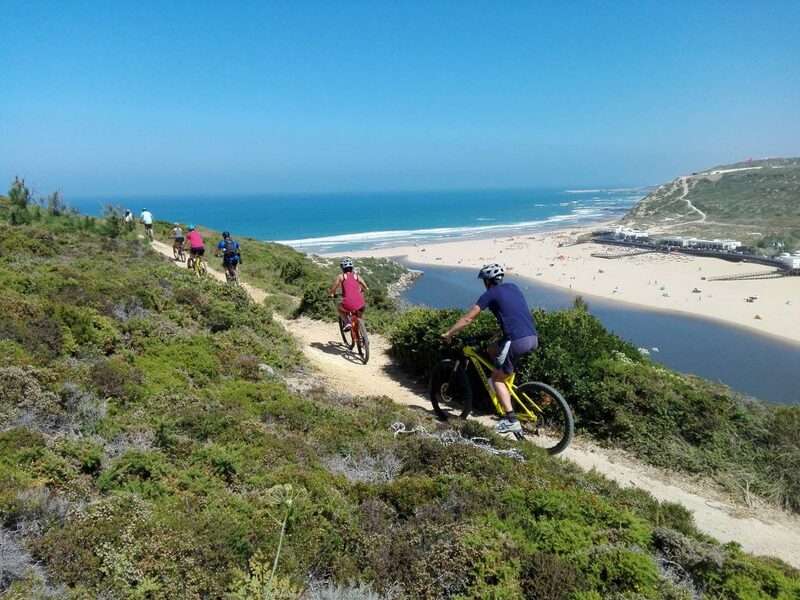 Come mountainbiking with us in Ericeira this summer! It’s the best way to discover the beautiful coastline of the World Surfing Reserve, the woods and the Lizandro river. 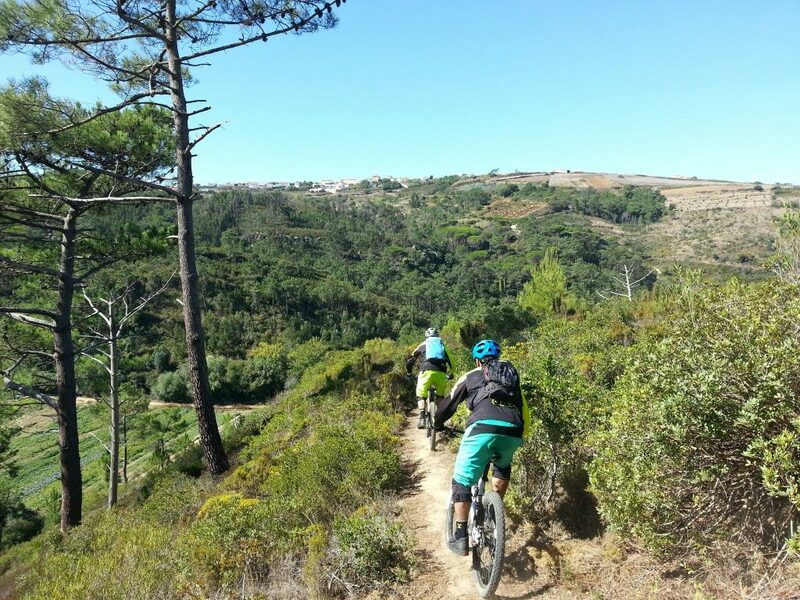 The Ericeira area offers many different trails for all levels, from beginner to advanced, and all tours offer something special and unique. We promise you a super fun tour where you’ll get to see another side of Ericeira and Portugal. The mountainbikes we use are of a high quality and the tour guides are friendly. 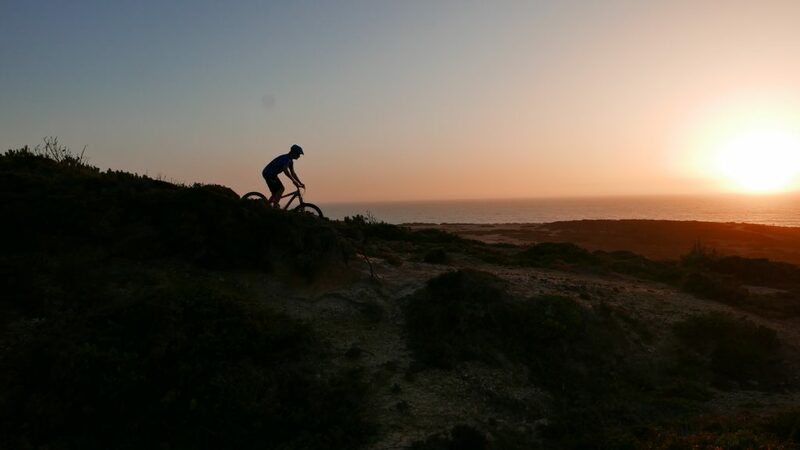 There are four different tours to choose from: Cliff Top Sunset Ride, Wine Tour, Lizandro Trails and Palace Ride. This tour is the most popular one, because it’s for all levels. Also, with this tour you’ll see both the country side and the ocean, so it’s a combination of two of the best sceneries. 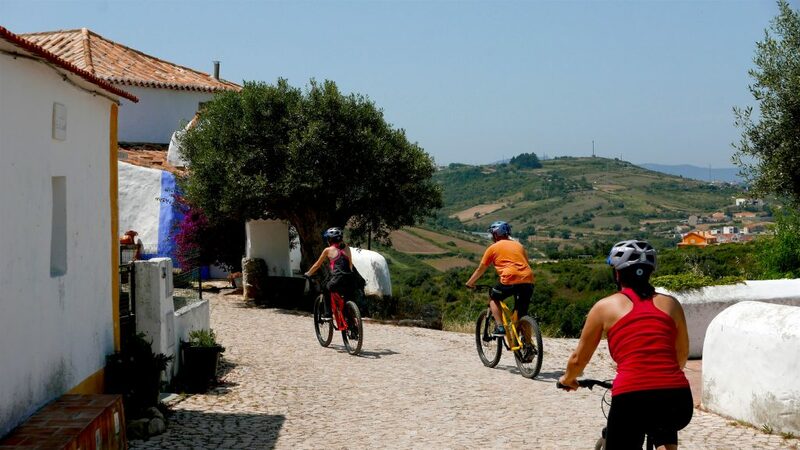 The first part of the tour is through the woods and the Portuguese countryside, away from the asphalt roads. Then the trail leads to the ocean, and along the high cliffs of the World Surfing Reserve you will see the sun set in the Atlantic ocean. What better way to end your day in Ericeira? Level: for everyone, but there are some hills involved. How about combining two very fun things into one activity? Mountainbiking ánd winetasting. It’s possible with this Wine Tour. The tour starts along the ocean, where you will ride south towards the Lizandro river. This river lies in a beautiful valley, and all along this river the tour takes you to Cheleiros, 20kms inland. Here you can taste the best wine the region has to offer, in a traditional Portuguese ‘adega’ (winery). After the tasting you will be brought back to your hotel by car. The area around the Lizandro river has many challenging single tracks to offer. This tour is a half day full of adrenaline, for the more experienced mountainbiker, or someone with a lot of energy. The landscape is beautiful and views are amazing too. Looking for a mountainbike tour through nature but with a cultural aspect as well? Then the Palace Ride is for you. 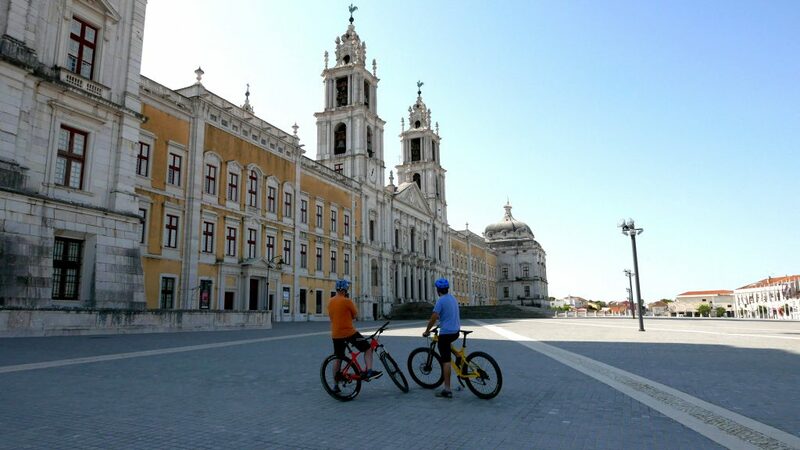 This tour takes you to Mafra’s National Palace by dirt roads and scenic single tracks. Prices are including guide, high quality mountainbike, helmet, insurance and water. Contact us if you need more information or want to book a mountainbike tour!